Recent shows have included Macbeth (2017), #Snapped 2016, Daisy Pulls it Off (2016), Les Misérables (2016), Feathers in the Snow (2015) The Witches (2015) & The Seagull (2014). 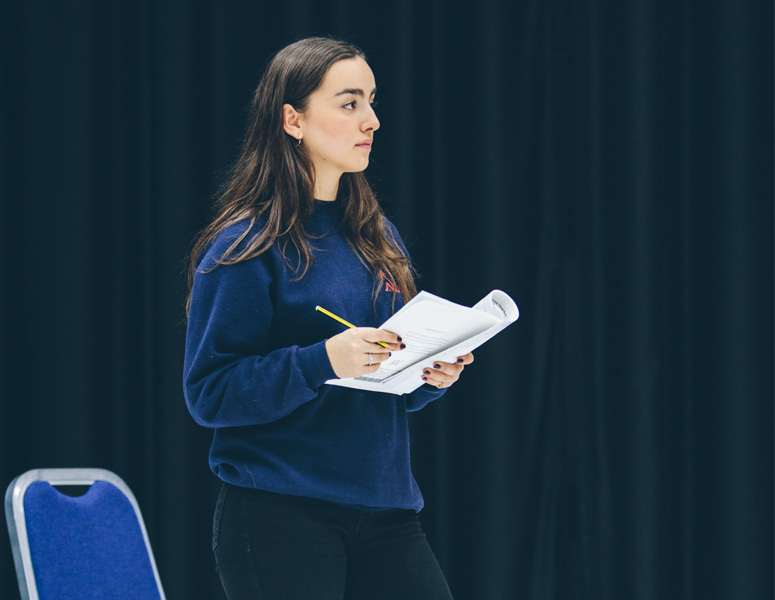 There are opportunities for the girls to act with students from other colleges and schools as well as professionals from different aspects of theatre – from Make Up artists to Lighting Designers. Senior students are involved in all aspects of our Drama productions; they operate the lighting rig, run the costume and make-up departments, man the front of house and backstage team, and there is always a student stage manager. In the Senior School we have Drama clubs for Years 7, 8 and 9 which are run by Sixth Form students, and they put on lunch time showcases throughout the year. We also have a Lighting & Technical Theatre club. We offer theatre trips to London and local theatres to all year groups throughout the academic year. We also offer residential trips to all students. Recent excursions have included a Shakespeare Experience trip to Stratford-Upon-Avon in 2017; including workshops with the RS, backstage tours of the RSC and watching an RSC production, a New York Broadway Experience in 2016, which included a tours of the Theatre District, watching Broadway shows and taking part in professional workshops run by actors from Chicago and Finding Nerverland; and a Los Angeles Hollywood trip in 2013, which included a VIP tour of the Oscars’ venue, visiting film sets at Warner Brothers and Universal Studios and taking part in professional media and marketing workshops. We have an annual Inter-house Performing Arts competition which involves girls from Years 7 to Upper Sixth and gives them an opportunity to bring their creative talents together. The house performances are led by Lower Sixth students and all girls have the chance to take part, including script and song writing, performing dance, drama and music. The house entries are performed in front of the rest of the Senior School and external adjudicators on our Performing Arts Day. Extra workshops are arranged so students can learn from other professionals. In November 2016, we ran a production, directed by Old Girl and ex-RADA student, Phao Wheatley, called #Snapped. In 2015, we held a Performance Weekend for Years 7 where they worked with a professional Director Kathryn Martin. We also host workshops run by professional theatre companies such as Paper Birds, Splendid and Knee high.